Your life is busy enough. Having the right insurance is crucial but you don’t have time to chase insurers or pore over documents. Let us do that for you. Do I need Private Client Services? Do you have more than £40,000 (in total) of high risk items such as jewellery, watches, pictures, paintings and items made of precious metals? Do you have 6 or more bedrooms? Do you have specialist collections of art or antiques? Do you have high-value vehicles? Do you have a portfolio of other insurance needs, such as holiday homes, let properties or business insurance? With our private client service, you will have the continuity of a dedicated adviser guiding you through the entire process of arranging your cover, claiming and renewing your policies. If you need to make changes, you know who to contact. No need to navigate automated telephone systems or speak to a different person every time. We manage all of your policies for you, synchronising your renewal dates, if you wish, taking the time to contact you at renewal to review your requirements. Your home and your lifestyle are unique to you. So why settle for generic insurance? Whether you require a bespoke policy for your home or specialist additions to your travel and motor insurance – we take the time to understand you and your needs, to ensure we can provide the right advice for your specific circumstances. After an initial conversation, we will then do the legwork for you. You can be certain you’ll receive the protection you deserve. 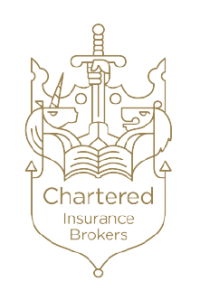 Lloyd & Whyte Ltd achieved “Chartered Insurance Brokers” status in 2010. Chartered status is awarded to organisations able to prove a sincere commitment to professionalism and service.